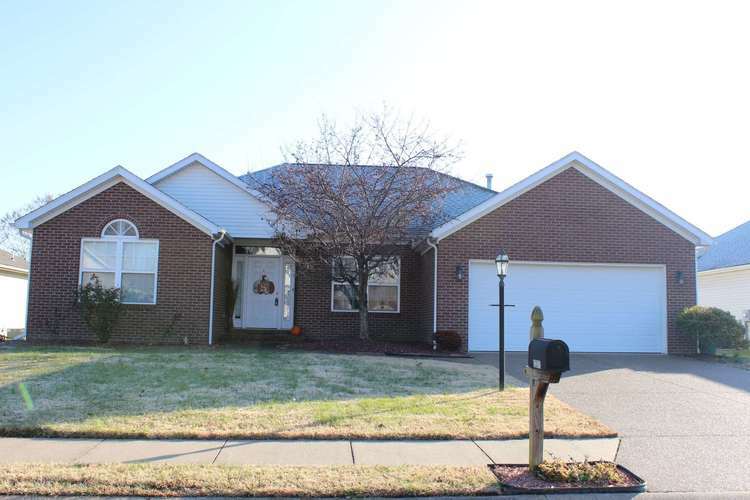 Come see this great 3 Bedroom Ranch home in Bridlewood! Featuring a split bedroom design, this home offers a cheery Kitchen with pantry, castled and crowned cabinets and raised breakfast bar. The Kitchen opens to an informal Dining area and Great Room with vaulted ceiling and gas fireplace. Lots of natural light! The Master Bedroom is spacious and has a walk-in closet and double sink vanity, corner whirlpool tub and separate shower. Two more bedrooms and a full Bathroom are just off of the front Entry. Additionally, there is a Formal Dining Room or perfect for Office or playroom. The Laundry Room has cabinets and is just off of the Garage. Plantation blinds included. The covered front porch is a nice features as well! The backyard has a patio area and a fire pit that stays.